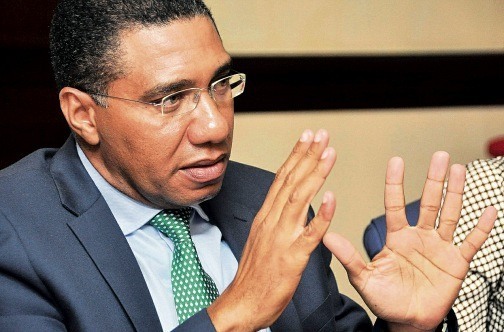 Barbados Today:- Prime Minister of Jamaica and Chairman of the Caribbean Community (CARICOM), Andrew Holness, is asking his regional counterparts to change the way they think about and plan for climate change. Holness said it was time small island developing states moved beyond preparation for sudden events and widen their approach. “I want us to begin to think of resilience beyond these natural disaster events.” he said at the Building Resilience to Disaster and Climate Change In the Caribbean event at the International Monetary Fund headquarters in Washington on Monday. Using rising sea temperatures as an example, Holness said this kind of change did not arrive suddenly and it was time small-island states looked for solutions before the problem washed up on their doorsteps in the form of extreme weather. The CARICOM leader said while every territory had its experiences, there was only “one correct solution to building resilience”. This, he said, would require proper development planning and fiscal management, as well as greater support from international organizations including the IMF, the Inter-American Development Bank and the World Bank “on the basis of vulnerability assessment”. Holness also suggested regional governments have a ministry focused on climate change, while education ministries should have climate change response as part of the resilience plan. He said a common theme was the cost of repeated natural disasters being underestimated. This made sustainable development harder to achieve. Recalling last year’s severe hurricanes, which left the region with an estimated loss of US$130 billion, Holness said the figure would rise if one considered the human impact and the long-term effect on countries’ growth trajectory. Holness challenged Caribbean leaders to urgently start putting response in place and do so in a concerted way. Well we are building stronger houses,they are teaching us how to anchor our beams and rafters.We still have the home made tecnician,that directs some small house developments,but in general we are getting better.People dont have money,to pay architects and their fees,the drawings may be good and aproved but what is on the drawing may not be whats in the house?We dont have much control over what is being built around the island and were.and the were is the most important one.